What hair I have is so short at the moment that I am unable to get any purchase on it whatsoever. Which is just as well, otherwise after the last couple of hours I would have none left. I start this period with a Pioneer Blu-ray player plugged into an Onkyo home theatre receiver, but I need to put a Sony Blu-ray player through its paces. So I pull out the Pioneer player and put the Sony in its place. All works fine. I need to check out the audio decoding capabilities of the Sony, and the Onkyo doesn't offer much information in this regard, so I plug in a Yamaha receiver. All works fine. I check out part of what I need to check on the Sony player. One of the weirdnesses of Sony Blu-ray players is that, Sony alleges, they will decode DTS-HD Master Audio, but I've never been able to get one to do so. Apparently they will only do this if set to 'Direct' output. With a receiver which does the decoding, they supply the bitstream instead. Consequently I've never been able to confirm that they really will decode DTS-HD Master Audio. But I also have here an inexpensive Sony receiver which has HDMI input, but no decoders, and it provides signal information. So I pull out the Yamaha, and replace it with the Sony. The HDMI cable from the Sony Blu-ray goes into the 'BD' input on the Sony. I switch it on and it shows 'HDMI' on its front panel display, but no picture is coming through. I switch off the Blu-ray player and restart it. Likewise for the receiver, for the TV for everything. I change settings. I change inputs. I walk away for five minutes and engage in a bit of cursing. I go through the whole process again. Nothing. Remember, everything was the same except that now I had a Sony receiver instead of a Yamaha one in place. As a real longshot, I switched to a different Blu-ray player -- the Oppo BDP-83 -- with its own HDMI cable into a different input on the Sony receiver. Instantly I have a picture up on the display (a glorious 65 inch Panasonic plasma at the moment). Initial diagnosis: Sony Blu-ray player won't work with Sony receiver! But that seemed somewhat unlikely. Perhaps I'd wrecked the cable I had been using between the two Sony units. It's an excellent cable from Kordz, but goodness knows it gets a fair old workout and has for some years. So I pulled the Oppo's HDMI cable off and used it with the Sony player. It worked! So I tried a different cable: another Kordz one identical to the first one, but five metres instead of two. It worked! So I tried a third cable: my very first HDMI cable which is thin and nasty and cost $50 back when they were very hard to obtain. It worked! So I put the original cable back into play. It worked! So I have no idea what went on there. But, in the end, I can confirm that the Blu-ray player really does decode DTS-HD MA! UPDATE (Thursday, 10 September 2009, 9:38 am): I think I've worked it out. Sony players seem to be a touch sensitive as to the precise angle at which some HDMI cables are inserted, presumably well-used ones such as my Kordz. I seem to recall a slight touchiness from Panasonic players too. One of my daughters gave me the Pink Floyd 'Pulse' DVD set for Fathers' Day yesterday. Absolutely brilliant concert from 1994, with superb sound. I was startled to find under audio options that you can select Dolby Digital 5.1 sound at either 448kbps or 640kbps. The latter is common on Blu-ray, but is not part of the DVD specification, and a warning in the booklet that comes with the discs suggests that it may not work with some systems. Still, it worked with mine and it sounded excellent. Better than the 448kbps version? Who knows. I switched quickly between the two, and my impression was that the 640kbps version was a decibel or two louder than the 448kbps version, so that would immediately invalidate any A-B comparison without a great deal of setting up. Thank you for resetting my password and advising a new one, as per your email below. Unfortunately, this has failed to resolve my problem. Here's the sequence of events leading to this pass. I was early onto BD-Live, back with the original release in Australia of Men in Black. At that time (most likely) I registered for BD-Live as I explored the system's capabilities. Since then I forgot my password. However I remembered my username: 'XXXXXXX'. My email address was XXXXXXX@XXXXXXXX. When I was reviewing the Australian release of The Da Vinci Code, I attempted to use the cinechat feature, but without a password could not get it to work. So I tried creating a new registration. This insisted that a username had to consist of at least one letter and one number, so I tried XXXXXXX1. This registration failed on the basis that my email address was already included with another registration. Following my raising the matter with Sony management here in Australia and their PR, I received your email of 1 September. I have just loaded The Da Vinci Code and I successfully 'Registered My Disc' in the normal BD-Live section of the disc using my user name 'XXXXXXX' and the new password you provided. Needless to say, I've 'tried again' several times, with great care as to make sure I entered the correct password. I received the same message on each occasion. Years ago I purchased a Harman Kardon DVD-30 DVD player, primarily for its decent DVD performance combined with DVD Audio playback. These days I primarily use an Oppo DV-980H DVD player, or an Oppo BD-83 Blu-ray player. After all, the HK doesn't have HDMI output, and its progressive scan conversion is really quite mediocre. That is the value of the flag in the video stream which purports to tell a progressive scan deinterlacer whether the video should be woven or bobbed. It is this flag which is wrong on almost all Australian and European DVDs. But without the HK DVD-30, I'd have to try to deduce that on a disc by disc basis from how the video looks. This DVD player makes that much more convenient. The picture above is from the manual for HK's latest DVD player, the DVD-39. So it seems that Harman Kardon remains the device to use if you want this information. But, without having laid hands on the unit, whether its actual deinterlacing is good remains to be seen. It does not appear to have a force film mode, so I have my doubts. And if you like, you can follow me at twitter.com/STEPHENCDAWSON. Even more worth following is Jez Ford. That's the the title of a recent editorial in Geare magazine (#56, July/August 2009) from Jez Ford, one of my editors. If you met Jez, you'd learn instantly that he is most certainly not a doom and gloom kind of guy. If fact, in this editorial he's injected a very sensible note into the hysterical anti-power-consumption crusade of much of the media. Yesterday I went to Sydney, courtesy of Sony, to see its new line of Blu-ray players and some of the stuff it's doing with Blu-ray discs. First, the players. There are three models: the BDP-S360, BDP-S560 and the BDP-S760. They are priced, respectively, at $449, $549 and $729. The 7.1 channel analogue outputs move from the S5xx to the S7xx. All three have multichannel decoding of all formats, Sony says (hopefully without the DTS-HD Master Audio confusion of the previous models). All three are full BD-Live (Profile 2.0) players. The two more expensive models get, in addition to the persistent storage USB port on the rear, a front panel USB port for photo display. They also support photos from DLNA servers over a home network. Most importantly, the two more expensive models also feature wireless networking, so you can use BD-Live without having to traipse a network cable to your home entertainment room. The S760 is the first Blu-ray player I've seen with a headphone output, and it provides a surround effect using a Sony proprietary DSP. Naturally I shall be reviewing as many of these as possible as soon as possible. Sony has also got out some BD home theatre systems for those interested in such things. Check Sony's web site for those (although the new ones aren't there yet as I write). Also on the BD-Live front, Sony Pictures is releasing Angels and Demons on Blu-ray in October. Like The Da Vinci Code, this will be in an extended version, but unlike the first installment, it will also have the original theatrical release. It also has some BD-Live features. The most interesting is a new one called 'movieIQ'. This provides a hide-able overlay which displays movie information drawn live from Gracenote, allowing you to find out who the actors are, along with their bios and so on. I get the impression it's a bit like hooking into the Internet Movie Database, but on-screen while the movie is playing. That's a BD-Live feature that has a great deal of promise! There is also a BD-Live 'Cinechat' feature, which is supposed to allow you to 'chat' with others over the Internet while the movie's playing. Perhaps, but I couldn't register because at some point in the past I've registered with Sony, specifying my email address. It would not let me re-register with that email address, nor did it (either via the disc, or the Cinechat website) seem to have any provision for a forgotten password. I don't have another email address. Clearly, some work is needed here. The other day I put on the excellent Warner Bros Blu-ray title, An American in Paris, and noticed something odd: the music was coming out of the front left and right speakers. I already know that this disc has seven audio tracks, every single one of which is encoded in Dolby Digital 1/0.0 @ 192kbps. That is, the sound was supposed to come out of the centre channel. So I started fiddling with the settings on my receiver, the fine Yamaha RX-V3900. Whether I had it set to 'Surround Decode', 'Straight' or even 'Pure Direct', it delivered the sound in two channel stereo format. There was no way to get the sound to come out of the centre channel speaker. Note: the signal information displays on the receiver clearly indicated that it knew that the incoming audio format was 1/0.0. It made no difference whether the digital bitstream was delivered via HDMI or optical digital audio. Mono sound delivered as 2/0.0, by contrast, can be made to come out of the centre speaker -- which is how one would have heard it at the cinema back in 1951 -- simply by engaging one of the Dolby Pro Logic modes. Regarding with your inquiry about Dolby Digital 1.0. When playing back Dolby Digital 1.0 (Centre channel only, no LFE channel) on the RX-V3900, audio is output from L/R speakers. This is specification, and also applies to the Vx65 series receivers. >Is there any way to listen to audio output from centre channel only with Dolby 1.0? One of reasons is that Japanese satellite TV uses Dolby Digital 1.0, Dolby Digital 2.0 or 5.1ch periodically in programs with commercial breaks. In such cases sound always move L/R to Center. It is unnatural sound output. Otherwise, recording Dolby Digital 1.0 (Centre channel only) software is rare. In short: this was a deliberate design decision to deal with a problem with Japanese TV. 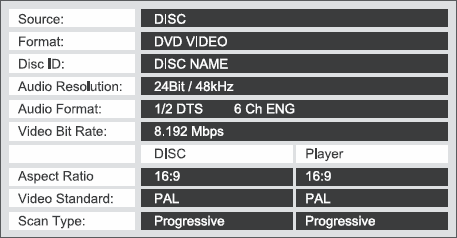 Since I raised this, I have checked the performance of a Rotel home theatre processor on this front, and it correctly delivers Dolby 1/0.0 to the centre channel, and only to the centre channel. I told Yamaha I'd mention this here because it is an issue that should be addressed. After all, its receivers have a 'Pure Direct' mode which switches off the front display on the receiver and (optionally in some models) the video circuitry, on the dubious theory that these may in some way interfere with the sound. A far bigger impact on the sound comes from turning one speaker's sound into two. I could go into details, but the most obvious one is where a group of people are listening. With 2.0, an off-centre listener will have the sound dragged towards the speaker closer to him or here, and introduce comb-pattern frequency response anomalies due to the different path-lengths causing frequency-dependent constructive and destructive interference. I would also argue that Dolby Digital 1.0 is not rare, although it is not extremely common. However the quality of the titles on which it appears is very important. The two lists that follow show all the titles in my collection which have their primary audio in Dolby Digital 1/0.0 format. There are 36 discs listed. Of those, 19 -- more than half -- appear in the Internet Movie Database Top 250 Movies list. Clearly, I shall henceforth have to include this audio format in my suite of tests for home theatre receivers. UPDATE (Thursday, 13 August 2009, 11:39 pm): Another 1.0 BD: The Getaway - 1972. In my disc database I have tick boxes to describe the presentation of the main feature of the disc. These include 'Pan and Scan', 'Widescreen Anamorphic', 'Widescreen Non-anamorphic' and 'Widescreen cropped'. Pretty much by habit I've been ticking the 'Widescreen Anamorphic' box for Blu-ray discs, but it has recently occurred to me that Blu-ray discs aren't anamorphic. The word relates to a type of lens used more frequently in the 1950s in the early days of widescreen cinema. The film frames in most cinematographic formats retained the old 1.37:1 aspect ratio, and the obvious way to make them widescreen was just to shoot as usual, but with a mind to masking off the top and bottom of the frame for later cinema presentation. However, that wasted a lot of the resolution of the film, so one alternative was to use a special anamorphic lens to distort the picture during photography. This squeezed the picture in sideways so that the widescreen picture could fit into a normal film frame. Then a lens to reverse the process was used at the cinema, stretching the picture sideways, so that its contents were restored to their correct proportions. The term was carried over to DVD. The same frame was used both for 'standard' TV style video with a 1.33:1 aspect ratio, and for the various widescreen formats. 'Anamorphic widescreen' DVDs scaled the picture out sideways to achieve a 1.78:1 aspect ratio. The alternative was letterboxed widescreen, which wasted several tens of per cent of the pixels on the screen, due to the black bars at top and bottom. As an aside, even 4:3 DVDs had to be scaled. Most NTSC DVDs were delivered with a picture resolution of 720 by 480 pixels, but for square pixels a horizontal resolution of only 640 pixels was appropriate. For PAL DVDs (720 by 576), a 4:3 picture needed 768 square pixels of display width, so these had to be scaled out in width a little. But none of that applies to Blu-ray. The picture is held at 1,920 by 1,080 pixels, which is 16:9 format with square pixels. It is designed to be displayed on a a natively 16:9 display (preferably with a matching number of pixels), so there is no scaling at all. Blu-ray pictures are not anamorphic, even though they are commonly referred to as such on Blu-ray packaging. Except for Constant-Image-Height fans. They distort the picture twice at the display stage -- once electronically to scale upwards from 2.35:1 to 1.78:1 -- and then immediately reverse the process optically with a reverse anamorphic lens which can be swung into place. The purpose of this is, I believe, to replicate the way the picture widens at the cinema for the wider formats. I just don't like the picture damage this introduces.